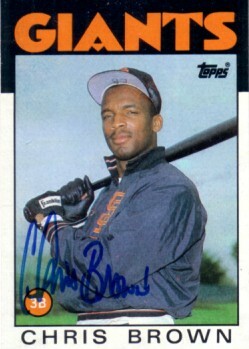 1986 Topps Rookie Card autographed by former star third baseman Chris Brown, who recently passed away. ONLY TWO AVAILABLE FOR SALE. With certificate of authenticity from AutographsForSale.com.